PARIS (Reuters) - Alstom (ALSO.PA), which is selling most of its power arm to General Electric (GE.N) to focus on train-making, could halve staff at its Belfort plant in eastern France to cope with flagging locomotive demand, Alstom's main union warned on Friday. Following talks with management, unions fear Alstom will in January unveil plans to cut 320 of the plant's 570 jobs, said Didier Lesou, Alstom labor representative for the CFE-CGC union. 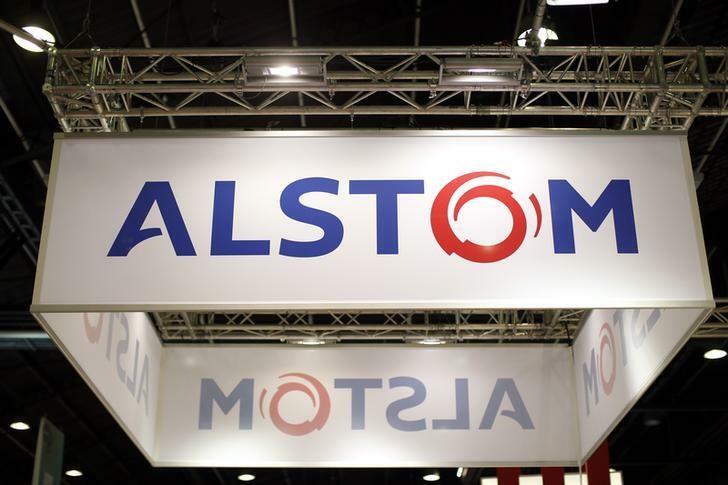 An Alstom spokeswoman said no restructuring plan had been unveiled at this stage, but CEO Patrick Kron confirmed the group was in talks with labor representatives over how to cope with the plant's under-utilization. "It's true that we have problems with workload at Belfort. There's just not enough for the staff that we have," Kron told Reuters on the sidelines of a business conference in Paris. He would not say whether staff numbers could be halved, as unions fear. Waning spending by the cash-strapped government is largely to blame for the plant's woes, Lesou said. "We don't have any orders because the government is not renewing its aging fleet of TGV (high-speed) trains ... and it's no longer ordering any locomotives," he said. Lesou said Alstom's western plant of La Rochelle and eastern site of Reichsoffen could also see job cuts as both are suffering from waning domestic market for TGVs, trams and intercity trains. The French rail industry federation FIF warned this week that 10,000 to 15,000 jobs could be scrapped out of 21,000 in the sector by 2018 due to a forecast drop in domestic demand for rolling stock from 2016. Alstom, which also makes turbines for power plants, agreed in June to a $16.9 billion deal that will involve GE buying the bulk of its energy business while it focuses on its rail arm. The deal was sealed after a two-month tug-of-war with the French government, eager to protect its national industry and worried that a straight sale of Alstom's power arm would leave it vulnerable as a standalone rail player. The state only agreed to the deal after securing sweeteners from GE, including a pledge to set up joint ventures and create jobs in power, plus the sale of GE's rail signaling arm to Alstom and an option for the government to take a stake of up to 20 percent in what will remain of the French group.